One of my main goals going forward is to be more conscious and intentional about my purchases. For the last few months, I have done my best to think about what the gaps in my current wardrobe are and to only buy things that might fill those gaps. I recently gave in to impulse, arguably, and bought an imitation of a Zara tartan blanket scarf from last year (you know the one). I could, of course, also argue that I had been seeing it around on various blogs for quite a while, so I was technically thinking about it for a few weeks before I pulled the trigger... but that is perhaps besides the point. I am actually really happy with the purchase. The price was right, of course, and I do not feel bad about buying an imitation of an item that is well and truly discontinued. 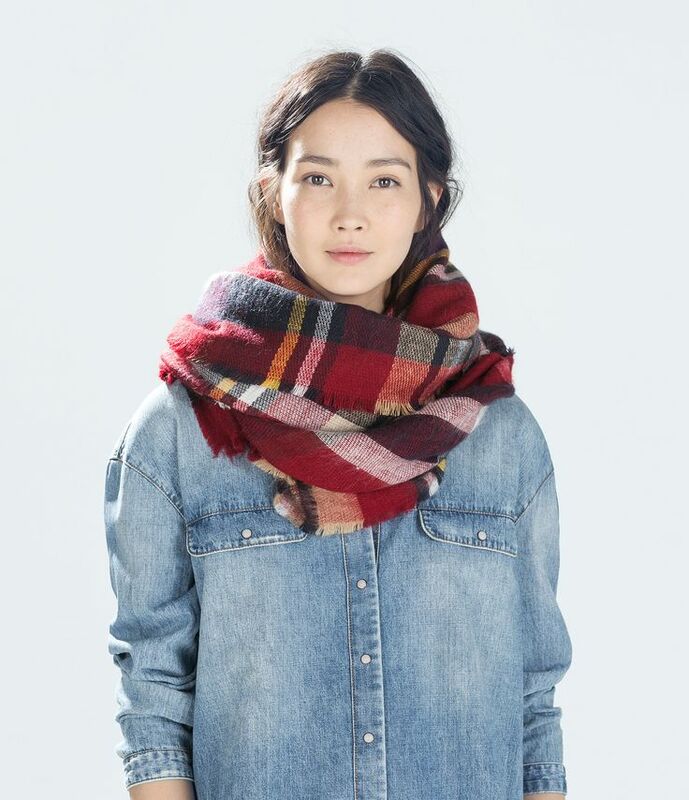 I am petite in terms of height and have a top-heavy build that often doesn't do well with chunkier scarves, yet I feel like this blanket scarf works for me. It is bulky, but not too bulky. I found the color scheme a bit odd and worried that it wouldn't match well with the colors I usually wear, but it has done well with the vast majority of my winter outfits. I should mention that I have tried on the real thing in a different color at Zara and while I don't think there are any differences to the look of the scarf (the size or the general appearance of the fabric), I think the Zara one might be made of slightly heavier material.